Excellent service to Customer and buyer without any hassle with full satisfaction. is a Bangalore based organization of India, serving excellently and professionally to the service industry. We undertake the total distribution solution to the all the companies of various sectors, who imports their respective shipment from diverse countries of all over the world. 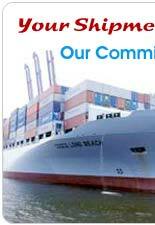 It is also engaged in the sourcing of diverse goods from china for customers at most reasonable and economical rates. We offer the best possible shipping rate for freight coming from China to any Indian destination, and help our clients in moving about 200 teus of diverse products monthly from China. 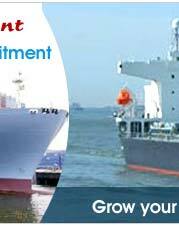 In addition to our comprehensive and punctual services such as the ocean freight forwarding in Bangalore, we are also actively engaged in the supply and distribution of all type of products coming from China, to different regions of India. Our wide range of services are elegant enough to save remarkable amount of time and money of our customers. We, with various vehicles, nation-wide business network, and development of computerized vehicles assignment system, have constructed comprehensive transportation method to meet every need. 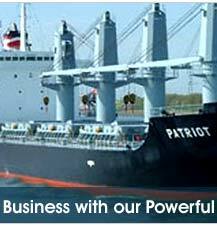 We are one of the leading entities in the arena of freight forwarding and related services. The company has made a mark for itself due to the precision and superior quality of its services. By working with us you will get various benefits under one roof. 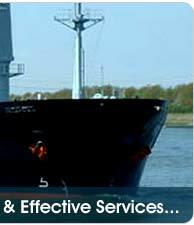 With us you need not to search places for different service like shipping, Distribution, insurance services like the cargo insurance services. Copyright © Al- Royal Cargo Lines. All Rights Reserved.